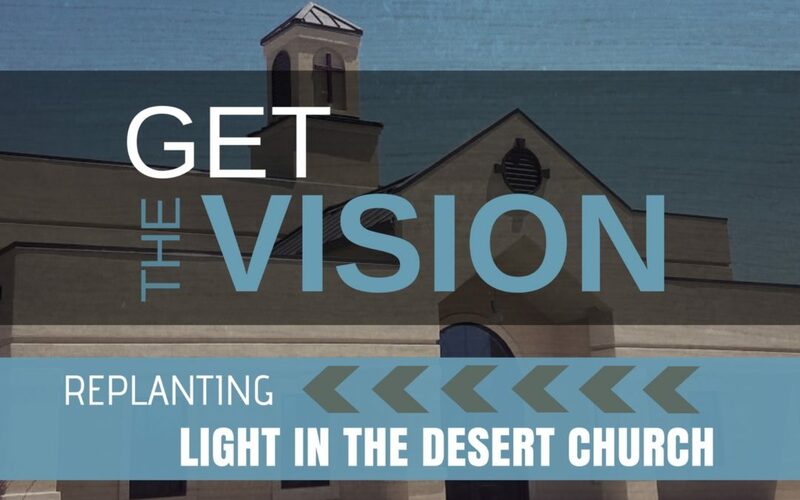 Light in the Desert (LITD) is a church that still exists by God’s grace alone. It has been his good pleasure to sustain us over the years during some tough and tumultuous times. There have been many days that the doors should have been shut and the church left to die. But God would not allow it to happen. He, despite the church’s lack of gospel growth, simply sustained us. Now it is time to join him in what he has been calling LITD to become; a church that thrives and is deeply committed to loving him supremely, loving others sacrificially, and sharing hope through the gospel of Jesus Christ. This is why the members of LITD have with joy decided to become a replant. This decision is driven by a sense of God’s movement here and throughout the entire United States to revive dying churches; to resurrect churches to a new life of gospel growth. Every Sunday 17 churches close their doors to never reopen (info). LITD refuses, by God’s grace, to let that happen and through surrendering to God’s authoritative word, He is beginning to breathe new life into us. A replant is simply a decision to reclaim LITD for God’s glory by putting everything on the table to evaluate its biblical precedent and usefulness in making disciples. Replanting is about God’s glory being seen in something dead becoming alive. It positions our hearts back on Him asking what He wants for us and then radically committing to it. It inevitably means change. LITD is not pushing forward in this replant alone. We are partnering with North American Mission Board (NAMB) for financial support and wisdom. NAMB is an extremely important and helpful partnership that has years of experience in planting and replanting local churches. But our partnerships don’t end there. Church on Mill in Tempe, AZ. has agreed to be our sending church. This partnership brings with it a commitment to pray, help, and provide encouragement and guidance to us along the way (more info here). LITD is overwhelmed with God’s grace in leading us towards replanting and supplying the necessary partnership to ensure our success. These are exciting times, and we celebrate the work God is doing and will continue to do. Keep an eye on future post as we discuss our replant, the vision God is giving us here in Mesa, AZ., and the changes we sense God is leading us towards.